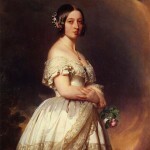 Newfoundland $2 gold pieces feature a bust of Queen Victoria. The coin was minted intermittently from 1865 to 1888 by the Royal Mint of England. Since Newfoundland did not have a mint of its own, these gold coins were all minted in England. These two-dollar pieces were produced in 1865, 1870, 1872, 1880, 1881, 1885 and 1888 by the Royal Mint of England and in 1982 by a private minting firm owned by Ralph Heaton and Sons in Birmingham. These 1882 coins bear a small ‘H’ below the date to denote this aspect. During the first and second world wars and just before Newfoundland’s entry into the Confederation, the Mint in Ottawa used to strike the gold coins for Newfoundland. On account of many reasons, these gold Newfoundland coins are considered to be quite rare even today. Such Newfoundland gold coins were valued at higher rates than the gold used to manufacture many other coins at the same time. This was mainly due to two factors viz. 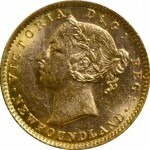 the higher unit cost of these Newfoundland coins and the higher demand of these coins at the time in Canada.